Indian cuisine has always been a little elusive to me. I’m intrigued by all the spice blends and fresh herbs that get mixed together to make very complex and delicious flavours. I absolutely love the cuisine and wish I could even scratch the surface of understanding the basics of how to build those flavours. Being introduced to a whole new culture and foods through marrying my Trinidadian husband has opened my eyes to curry. 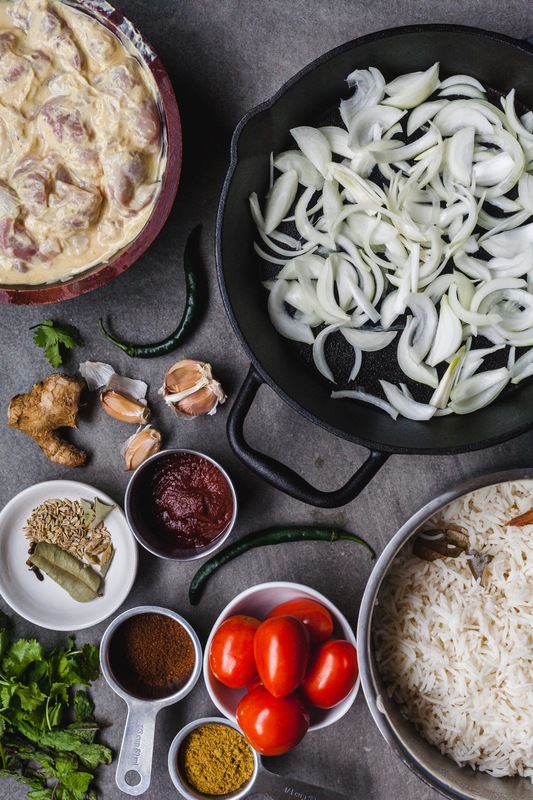 Trinidadian cuisine is so diverse and of course this is due to the diversity of people and cultures that have touched Trinidadian soil. I’m so thankful for that and being introduced to it. Before making curry Trini style, my idea of curry was using store bought curry paste or pre-blended curry sauce itself, or just adding curry powder to a dish. Sure there’s nothing wrong with that but I was never happy or satisfied with just that. Living in Toronto exposed me to so many different flavours and curries. From west Indian to Tamil along with South African and Japanese. I love all the flavours they had to offer and knew they were more complex then a single curry powder. Making West Indian curry helped me appreciate this further. It helped me understand that it was more than curry powder, but included seasoning and building flavours. My love and appreciation for curry only grew after this along with the flavours that build some of my favourite Indian dishes. 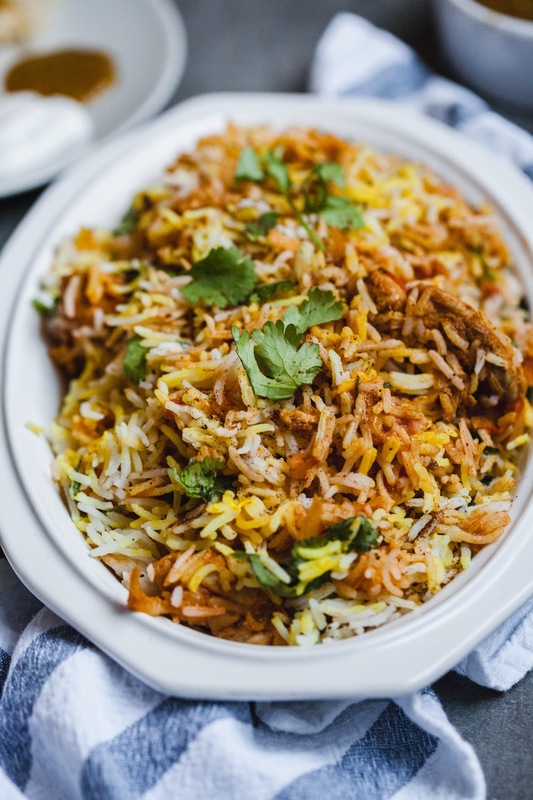 A favourite of these dishes to pick up for lunch on work days was chicken or vegetable biryani. There was a place nearby that did it perfectly. 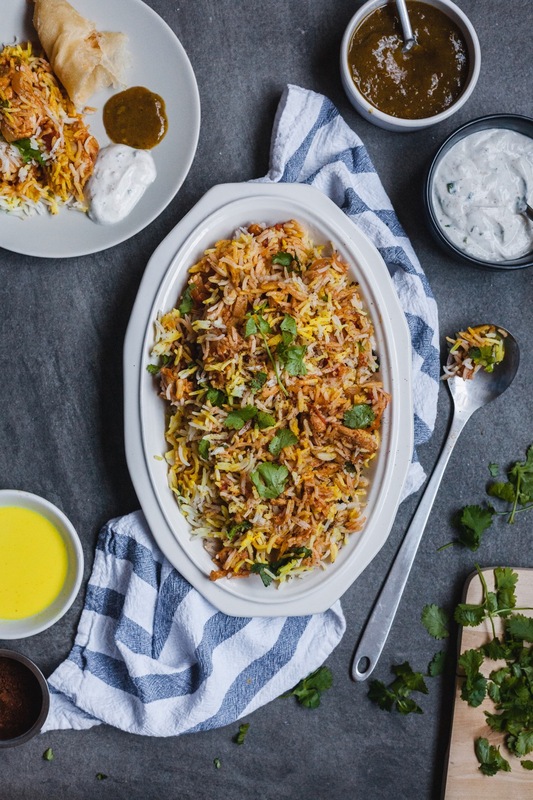 The rice was always fluffy and perfectly fragrant and the meat was tender and with the right amount of spice. Not heat but spice. 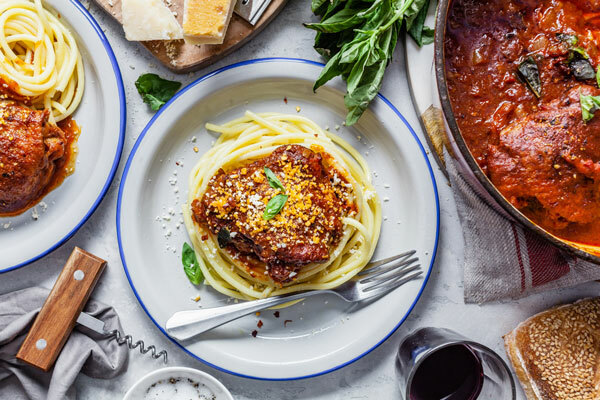 I always wanted to replicate the dish and tried all sorts of ways and recipes. Many of them involved a lot of ingredients that I did not have making them a little too complex for me. So I would just give up and just grab some for lunch at one of the shops when i was craving it. 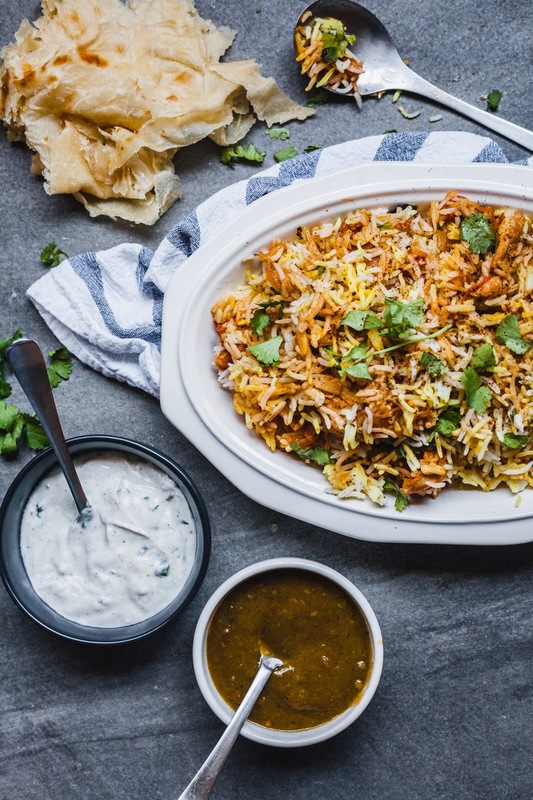 Fast forward a few years to living in Trinidad where getting authentic tasting biryani is not as accessible - making it essential to finding a simple but great recipe for it but without sacrificing its authentic flavours. 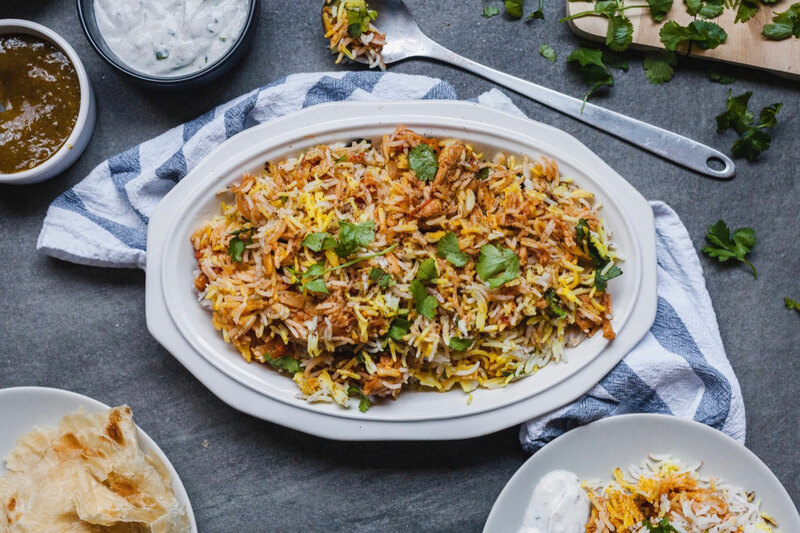 Well the search was over when I found Jamie Oliver’s collaborative recipe with Maunika Gowardhan and the only one I will ever need for a simple cheat biryani. The only thing I changed was my rice preparation. 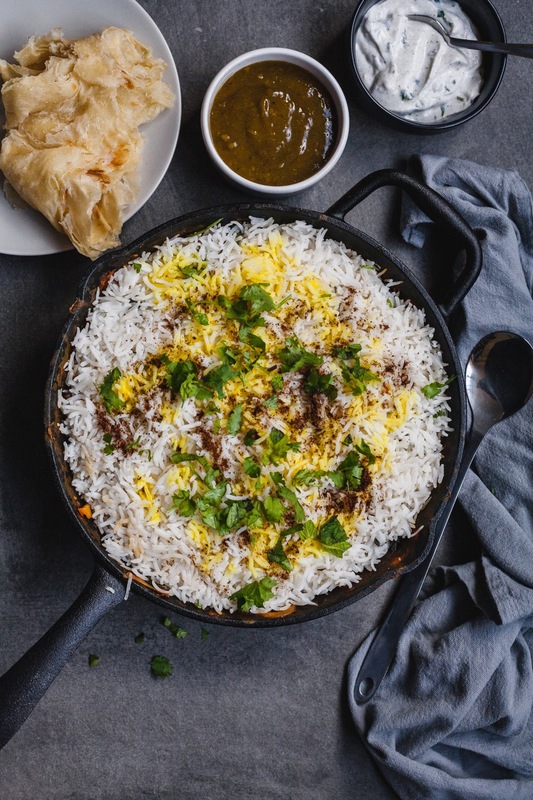 The recipe calls for plain basmati rice which is great but I like to build some more intense flavours into the dish by making sure my rice is super fragrant by adding some spices to it as it cooks. I also could not justify spending what it costs to by saffron threads here in Trinidad, so I used turmeric powder instead. It’s not exactly the same using the turmeric powder in place of actual saffron but it works. Don’t overdue it with the turmeric though because using too much could leave an almost bitter taste to the dish. I found it quite easy to find the rest of the ingredients here on Trinidad. There was only one that I couldn’t find in a regular grocery store here and that was the ground coriander. My friend got some for me at a spice shop near to where she works so that was perfect. It is quite easy to find coriander seeds here so I could have also easily used those and ground them myself in my coffee grinder. 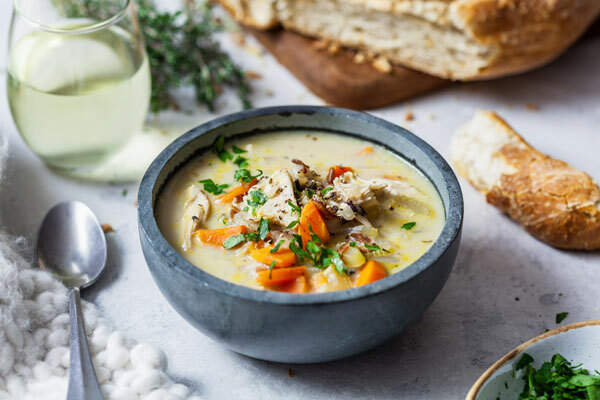 Everything else was pretty easy to find or substitute, making this recipe ‘easy’. I’m so happy I came across it and I know you will love it too! Hope you enjoy it! 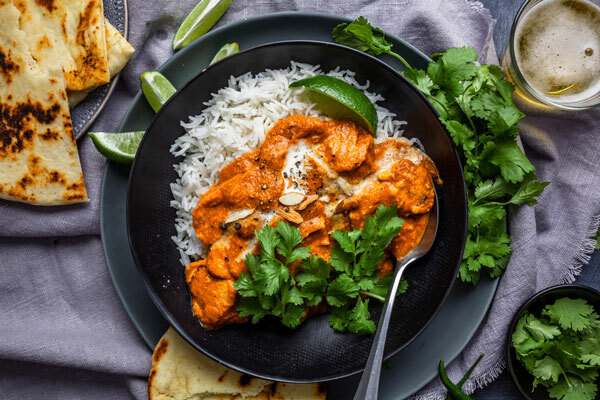 In a small bowl stir together the greek yoghurt, turmeric powder and chili powder and salt and pepper until well combined and then add the chicken and stir well to coat, cover, refrigerate and marinate for at least 30 minutes or overnight. 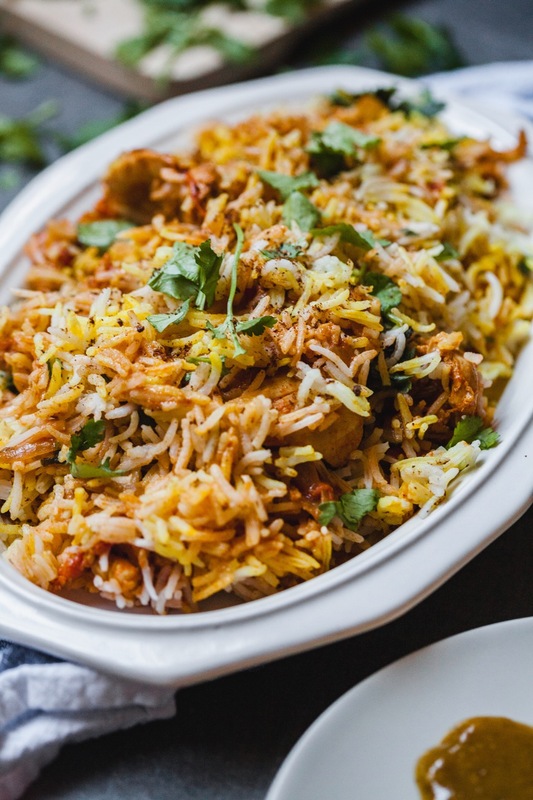 Cook your rice in 4 cups of boiling salted water along with the rest of the ingredients until 3⁄4 done, then drain excess water, fluff rice with fork, remove the spices and set aside covered. Mix together the turmeric powder and warm milk and set aside. In a heavy bottom skillet or saucepan heat oil over medium heat. Add the cardamom, cumin seeds and allow them to sauté for a few minutes until fragrant. Add the tomatoes and chili and cook for a few minutes until they are cooked down, stirring and mashing the tomatoes with the back of your wooden spoon to help them break down. Add the tomato paste and cook stirring it for a minute to cook off any bitterness, then add the grated ginger and garlic along with the coriander powder and stir cooking for another minute until very fragrant and then turn the heat to low. 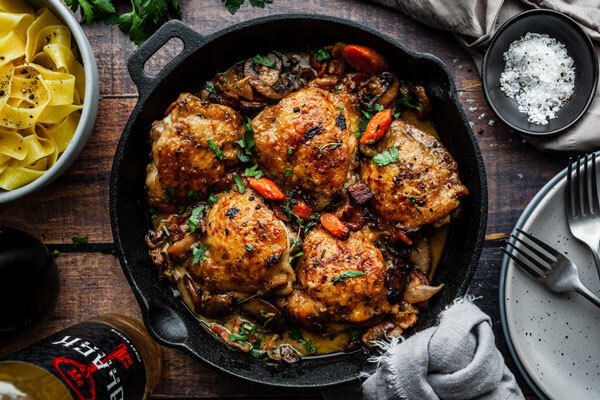 Add the chicken, turn the heat back up to medium and cook chicken stirring gently and continually for 4-5 minutes then reduce heat and cover allowing chicken to simmer away for 5 minutes, stirring occasionally. Add a splash of water if needed and if the sauce needs to be thinned out. Remove pan from heat but keep burner on low, and layer half of the rice over the chicken mixture. Then drizzle half of the turmeric milk mixture over the rice, followed by 1 tsp of the garam masala and half of the fresh herbs. Repeat the layers and then put the lid back on and place back on low heat for 5-7 minutes. Turn off the heat and allow to rest for 10 minutes. Serve as is or with some yummy sides like a quick homemade raita (yoghurt sauce made of yoghurt mixed with fresh cilantro, chopped green onions along with some ground cumin and ground coriander) and I also love a little sweet with it too so I served it up with a friends homemade tomato chutney.